Why not split the award in two? With the recent release of the ‘TIME Person of the Year’ award many people, along with myself, question why this honor is bestowed on groups many times. When looking at the shortlist on Monday morning, my top two picks were Moon Jae-In and Jamal Kashoggi. Jae-In was one of my picks due to the rising tensions and trade imbalance between the United States and Asian nations within the past ten years. The South Korean President mediated meetings between North Korea’s Kim and Donald Trump. He also met Kim in three historic summits regarding the Korean Peninsula’s future. This tension between North and South Korea has been ongoing for decades and seemed like there was never going to be a resolution. Kashoggi became a top pick for me after learning about his journalistic efforts after the news of his death. The journalist is believed to have been murdered from orders of Saudi Arabia’s Crown Prince Mohammed bin Salman for speaking out against the government. The sheer acknowledgment as a candidate for this honor shows a lot about how everyone sees the importance of journalistic work and certain freedoms that are associated with it. TIME decided to give this year’s title to Jamal Khashoggi, ‘The Guardians and the War on Truth’. To the journalism world, this is huge and reaffirms the fact that this work is important. As of Dec. 10, around 52 journalists have been murdered in just this year alone. 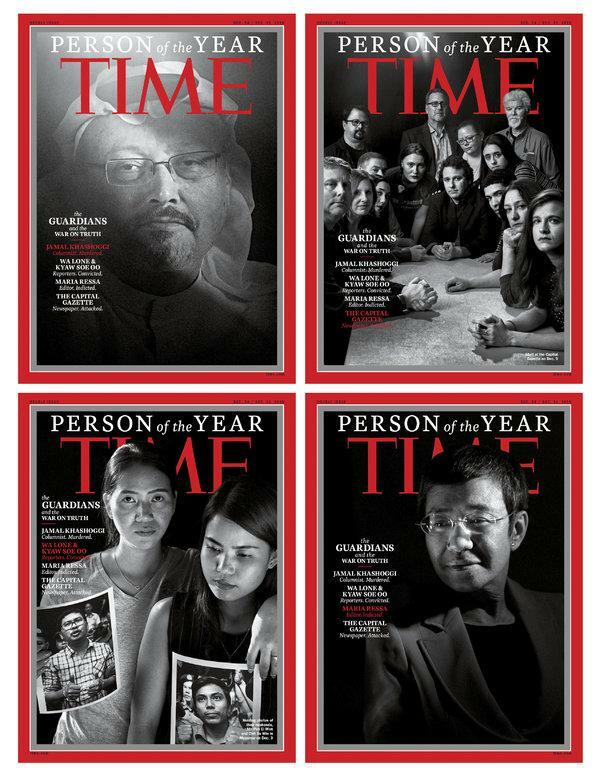 TIME acknowledged the impact of Kashoggi but brilliantly looked at four different journalists and one news organization. My only comment about the TIME organization that seems off is, why don’t they split this award into two. By doing this they could have ‘TIME: Impact of the Year’ and ‘TIME: Person of the Year’. It seems incorrect to call this group of people the ‘Person of the Year’ when it wasn’t just one person who impacted this movement.